Author Robert Louis Stevenson’s description of Dr. Jekyll’s fictional residence caused some of his contemporaries to suspect that he had used the real home and museum of the pioneering 18th-century Scottish surgeon John Hunter as a model; whether or not this was really the case is up for debate. Dr. Jekyll and Mr. Hyde. Color lithograph by National Printing & Engraving Company, 188?. Courtesy of the Library of Congress Prints and Photographs Division. Stevenson did not mention Hunter in any of his notes. Yet the rumor became so widespread that Stephen Paget casually referred to the “tradition” in his 1897 biography of John Hunter.2 Speculation continues well into the 21st century.3 We may never know for sure if Dr. Jekyll and Mr. Hunter both lived at No. 28, Leicester Square, but we can get a sense of what the residence looked like thanks to one of the few surviving design plans, in the library’s collection. Pencil copy of William Clift’s drawing of the “Ground plan of Mr. Hunter’s Premises level with Street, or Parlour-Floor level.” Click to enlarge. 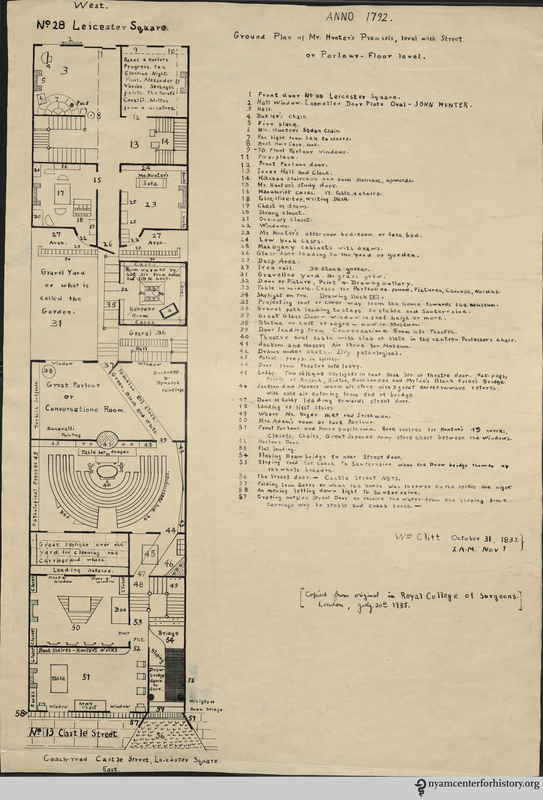 Much of what we know about Hunter’s Leicester Square residence comes from a ground floor plan reproduced from memory by William Clift, Hunter’s assistant and the first conservator of the Hunter Museum. Clift was born 1775 in Bodmin, a town in Cornwall, England. He had a difficult upbringing. He lost his father, Robert Clift, at a very young age. According to Clift, his mother Joanna Courts occasionally “starved herself to save threepence a week” in order educate her son. She died when Clift was eight, leaving him “cast adrift on the wide wide world.”4 He eventually found work under a nurseryman named George King, a man given to occasional brandy-fueled outbursts. Out of the blue one day, an inebriated King chased Clift through the nursery. Clift managed to escape despite that fact that his pursuer was riding a horse. Clift drew a caricature of the incident sometime later and used it to entertain his coworkers. King became aware of the drawing and fired Clift. John Hunter, “engraved by W. O. Geller from the original picture by Sir Joshua Reynolds in the Royal College of Surgeons,” 1836. Clift oversaw the Hunter Collection for the next 42 years, during which time the RCS transferred the materials from Leicester Square to a new building near Lincoln’s Inn Fields. Late one night after the move, as his time as conservator was coming to an end, Clift drafted the ground floor plan that we have today.8 Simon Chaplin, director of culture & society of the Wellcome Trust, has conducted extensive research into Hunter and the Leicester Street house and considers the drawing to be fairly accurate.9 Given that no complete plan exists for the Leicester Square property for the time when the Hunters lived there, Clift’s plan remains one of the best representations that we have today. “Ground Plan of Mr. Hunter’s Premisis, level with Street or Parlour-Floor level.” Copied from original in Royal College of Surgeons. Click to enlarge. 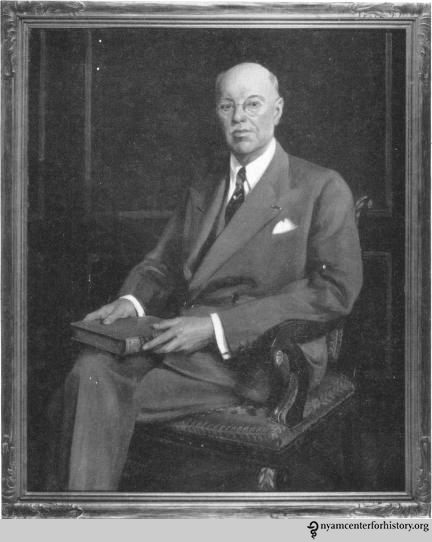 Portrait of Dr. Fenwick Beekman. In Annan, G. L. (1961) “The Fenwick Beekman Collection.” Bulletin of the New York Academy of Medicine 37(4): 277–280. A guide to the Fenwick Beekman Collection of images is now available online here. Before I discovered who Beekman was, the images collected appeared to have been randomly assembled. Biographical research revealed that Beekman was the foremost private collector of material related to 18th-century Scottish physician John Hunter. Beekman spent years researching and writing about him. When Beekman donated his Hunterian collection in 1960 it was considered the best in private hands. Only the Royal College of Surgeons could boast of a superior collection of Hunter-related materials. 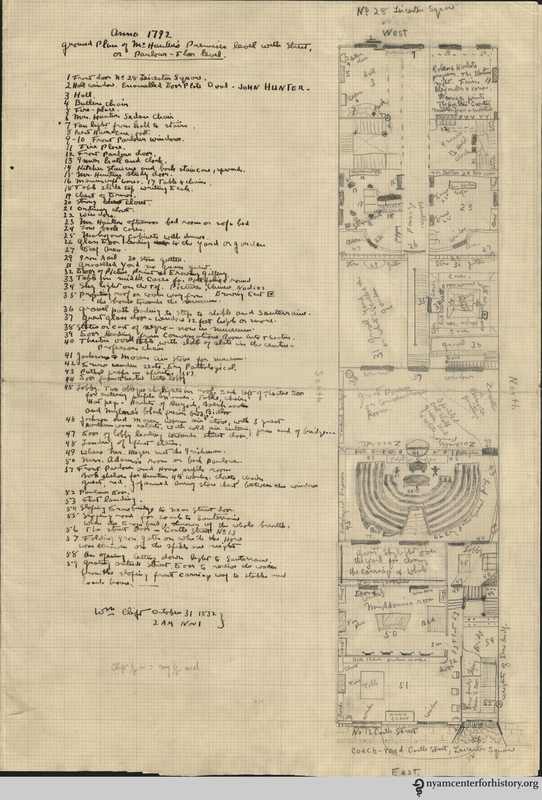 It is thanks to Beekman that the New York Academy of Medicine came to own a copy of Clift’s ground plan, along with the other items related to Hunter. After researching Beekman, I began looking into the history of each item in the collection. Thematically, the images reflect the diverse interests of Beekman and Hunter. In addition to the various images, there are several handwritten letters by Hunter that shed light on the early days of his career. I came away from the collection informed and entertained. I have no doubt others will as well. 1. Stephen Paget, John Hunter, Man of Science and Surgeon, (London: T. Fisher Unwin, 1897), 155. 2. Simon David John Chaplin, “John Hunter and the ‘Museum Oeconomy’, 1750-1800” (PhD diss., University of London, 209). 3. 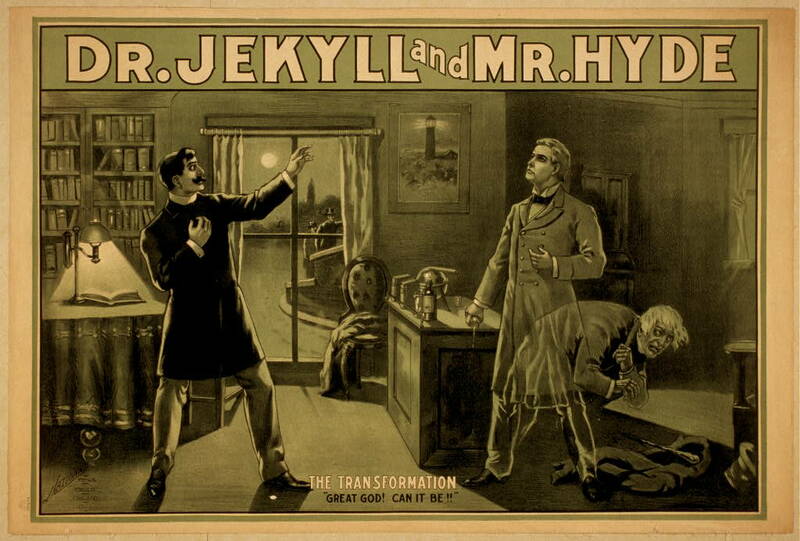 Lloyd Axelrod, “Strange Case of Dr. Jekyll and Mr Hyde – and John Hunter,” The American Journal of Medicine 125 (2012): 618. 4. Arthur Keith, “The Dicary Lecture on the Life and Times of William Clift, First Conservator of the Museum of the Royal College of Surgeons of England. Given in the Theatre of the Royal College of Surgeons, Friday, December 7th, 1923,”The British Medical Journal 2 (1923): 1127, 1128. 5. 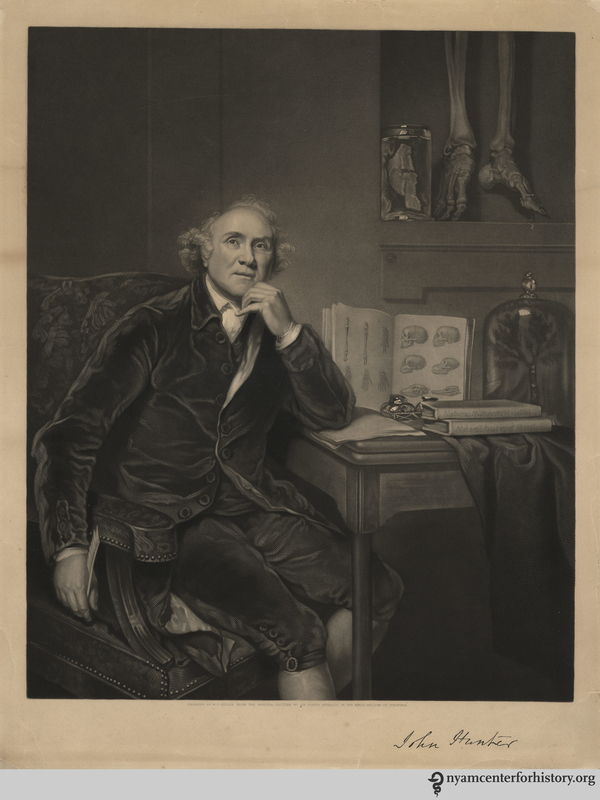 “John Hunter,” The Royal College of Surgeons, accessed April 23, 2015, https://www.rcseng.ac.uk/museums/hunterian/history/johnhunter.html. 6. Keith, “Life and Times of William Clift,” 1127-29. 7. Ibid, 1129; Jessie Dobson, “William Clift, F.R.S., First Conservator of the Hunterian Museum,” Proceedings of the Royal Society of Medicine 48 (1955): 324-325. 8. Keith, “Life and Times of William Clift,” 1129. This entry was posted in Collections, History of medicine and tagged architecture, Fenwick Beekman Collection, Hunter Collection, Hunter Museum, John Hunter, Leicester Square, William Clift by nyamhistorymed. Bookmark the permalink.